Miguel sent in his entry to the open 7400 competition. 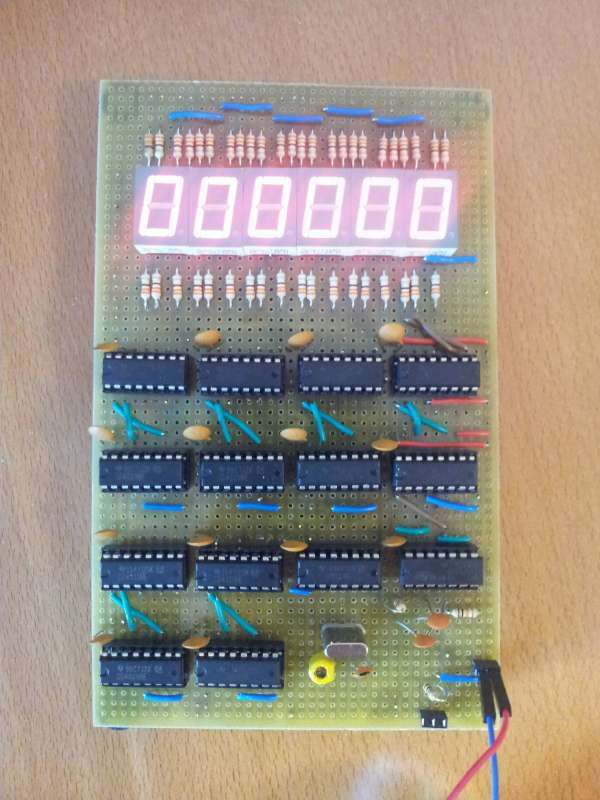 It’s a CMOS frequency counter based around the CMOS 4000 series logic chips. It’s capable of counting for 1 Hz up to 1 MHz. This entry was posted on Friday, November 2nd, 2012 at 1:00 pm	and is filed under 7400 contest, contest. You can follow any responses to this entry through the RSS 2.0 feed. You can skip to the end and leave a response. Pinging is currently not allowed.